Some of the best parts of the trip were when we did something that was absolutely normal, yet somehow different, because of the fact that we were in a different country with a different language and different customs. And now, here I am, back in the States, sharing these images of my experience with you. There are only two days until the art reception at Aurum Studios, where you’ll be able to see all this paintings for yourself. But only two more days allows only two more images that I can share with you until that time. How can I choose just two? 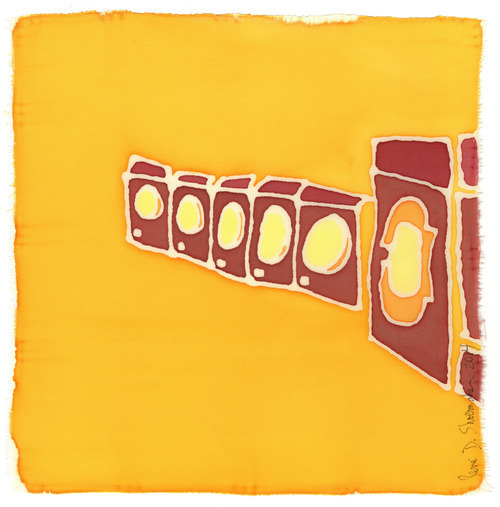 This painting was inspired by the laundromat on the street where we stayed. I enjoyed doing the laundry there and soaking up the atmosphere. The neighborhood was great. I would go back in a heartbeat.